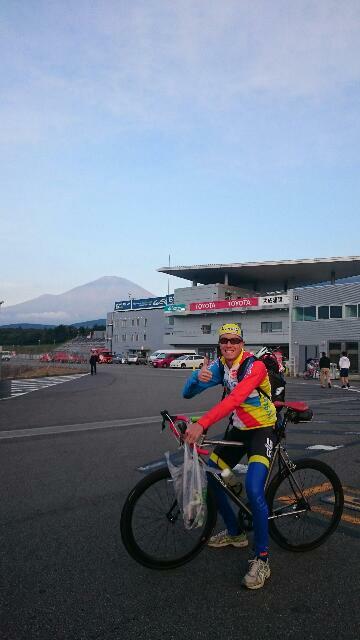 Wednesday was the Fuji Challenge 200 km. A harder race than I'd bargained for! 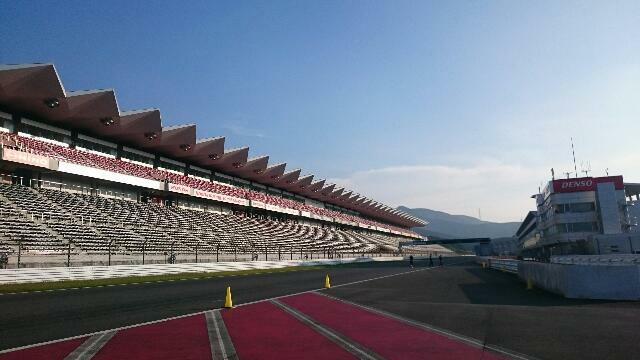 44 laps of the Fuji Speedway racing circuit. Climbing, descending, the long home straight is the only flat part of the course. With all categories on the road together, 2,200 riders lined up at the start. In the lead group from the start. 6 and a half minute laps. Motoring! At some point one rider sneaked off the front. Each lap my coach keeps me up to date with time gaps etc. About 20s? Give it a go! Then 3 guys from behind. 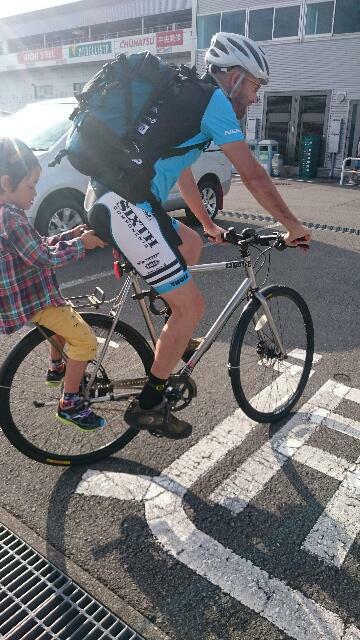 Last year's champion who I rode in a break with at Gunma CSC. 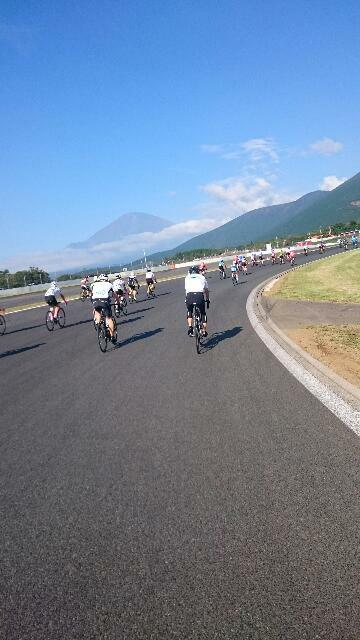 We make a small chase group. As the track heats up I find myself out of water after 20 laps. 1.5 L down! 24 laps to go! What to do!? Other riders, the big players in particular, are being fed bottles by support riders. As I'm deliberating we are swallowed up by the fast moving group. Voices in my head. "It's hot! If you don't drink you won't make it..."
My coach has 2 bottles ready. I pull in. Grab them. Thank you! "GO! GO!" The chase back on! My race is lost at the halfway mark! Continue to the finish? Or throw in the towel? "Finish it!" my coach encourages me. It's tough on your own! The wind is a beast! Can't get the speed out! Okinawa champ Takaoka san and Mizuno san bridge. I jump on but they are flying up the climb. Too fast for me. Another slower group comes up from behind. This is more like it. Easy to follow these wheels. Easier than being alone. But slower than being alone. The climb is getting tougher each lap. I can't even follow the wheels of the slower group. The speed drops off dramatically. Those voices again. "Not far to go. Not far to go." It was hard, really hard! The result was 20th. Better than I thought. I learnt a lot. 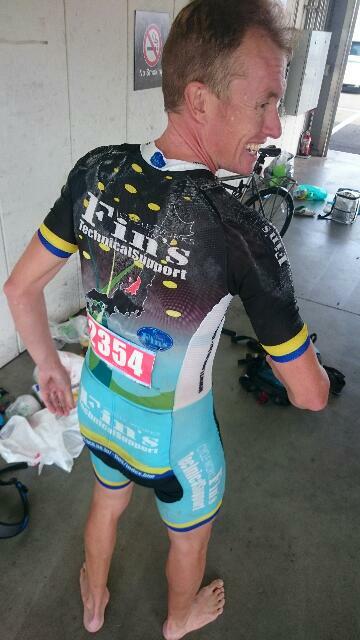 I'll be back for a better result next year! 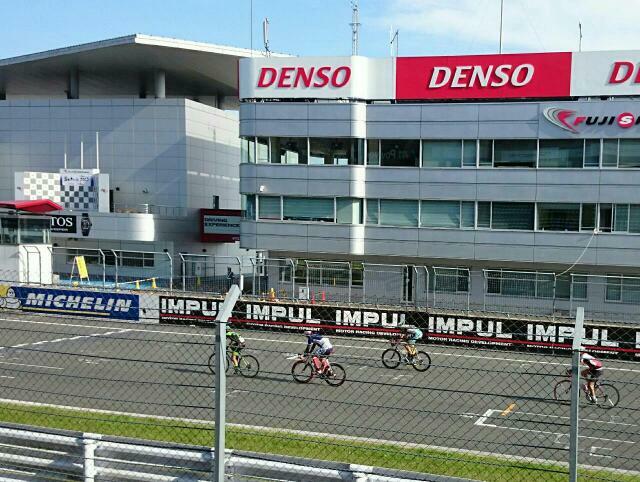 October's race is the Motegi 7h. It's gonna be even harder! I'll use this experience to put in a good fight!